Over the past few years we have seen an increasing demand for marquees as reception venues. A marquee allows you a blank canvas to make your wedding as unique to you as you want it to be. This kind of reception lets you get as crafty as you like, and with social media channels like Pinterest and Instagram to help get your creative juices flowing, the sky is the limit. We have pulled together 6 top tips to remember when planning your memorable DIY marquee wedding, which will leave you more time to be crafting bunting and marquee decs! If you’ve got your heart set on a wedding marquee, make sure when you’re looking for a venue, that it can provide a flat area for the marquee to be put up on, most companies can erect a stage for the marquee to go on, but no one wants to be sitting lopsided! Remember that it needs to be easily accessible for your guests (heels and muddy ground don’t make a good combination). 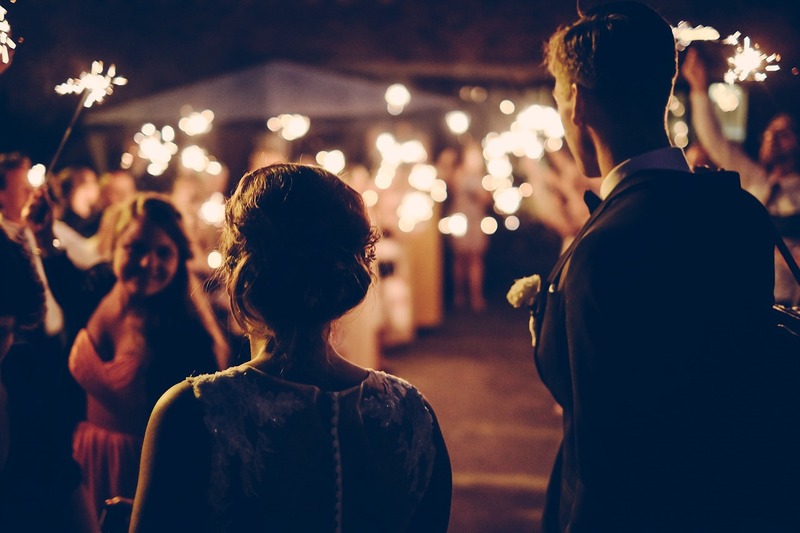 If you’re planning on having a bar or live music, you’ll also need to check that the venue has the required license, the last thing you want is for your wedding to be drawn to a halt by local authorities. Your venue should be able to confirm what license they have in place or if anything additional is required when you ring to make your booking. What needs to fit in your marquee? This is by far the most important thing to remember. Knowing what you need to fit inside will make sure there is plenty of space for you and, your guests are comfortable. Your guests – are they needing to be seated for part of the day/your wedding breakfast? Are more coming in the evening that will need seats? Refreshments – are you having a caterer and bar? Will they be in the main marquee or supply their own undercover space? Music & Dancing – do you need a dance floor? How big is the band/how much space does the DJ need? Entertainment – are you having a Photo Booth? Do you need room for a sweet table/buffet etc.? Most suppliers will provide a calculator so you can get a rough idea of the size of marquee you will need and the associated costs but always pick up the phone to clarify it will fit everything you need. With the British weather being somewhat ‘unpredictable’ we always recommend that you make sure that your marquee can shelter everyone should it be needed! No doubt you’ve got a style in mind for your wedding day from flowers, colours, outfits and more – how is this going to translate to the marquee? When writing this list have a think about; tables, chairs, tablecloths, centre pieces, lighting and draping. Good marquee companies will be able to share previous examples with you but, make sure they know exactly what you are trying to achieve as many will be able to provide or source furniture, lighting, draping and flooring to tie in with your style. Pinterest is also a great place for wedding ideas especially DIY ones! Don’t forget the necessities! If your marquee venue is a field don’t forget to arrange portable toilets for you and your guests and also think about rubbish disposal, are there facilities on site to dispose of waste or do you need to hire in bins and have them collected when complete? Marquee weddings unlock access to lots of entertainment choices, no doubt you have ideas in mind to entertain you and your guests but whether it be bouncy castles, old fairground games, skittle alleys, magicians, live bands or DJs make sure you book early and understand requirements they may have in terms of electric supply, lighting or sound equipment. Many may supply their own, but checking ensures everything is set up for your day to run smoothly. To add to the DIY factor why not try and create a few games of your own? Write your running order down and put someone in control of it for the day, also share it with your caterers and the bar so that you can relax and enjoy your day. Include as much detail as possible; what time entertainment is arriving and where it should be placed, what time guests are arriving and who is handling welcome drinks, what time do your guests need to be seated to eat, what time are speeches, what time do bands/DJs start, what time do evening guests arrive and so on. This list is by no means exhaustive but these tips well get you well on the way to planning your marquee wedding. Why not have a look at the Peninsula Pinterest page for inspiration on decorations and themes to get you started on the DIY aspects for your day!